A passionate performer, Mike’s songs are visceral and evocative. Dave Palmater, Folk-DJ of WUMB Boston Public Radio, calls Mike Fall River’s poet laureate. Mike is proud of his roots and many of his songs deal with his gritty blue collar hometown and the lives of his family and friends. 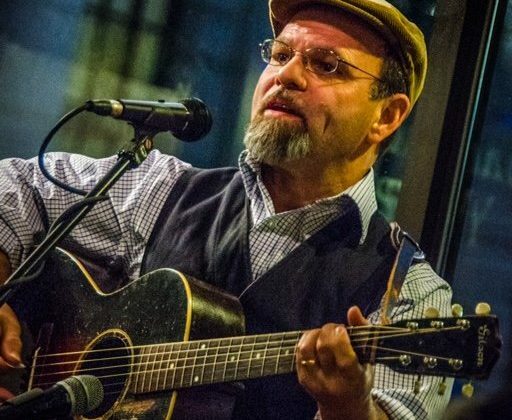 ​He is a winner of both the 2017 Wildflower, TX songwriting contest, the 2016 Woody Guthrie songwriting contest as well as a 2016 Kerrville New Folk, TX finalist and a 2018 Falcon Ridge Folk festival “emerging artist”. He has released four albums to date, Pushing Back Wintertime (2013), Road Signs (2015) and Tightrope (2017) and Voting Day (2018).